You’ve seen those Instagram photos with people typing happily on their laptops by the beach, wishing you were there. That your steaming mug of coffee while you’re staring at your pile of bills on the dining room table isn’t going to cut it. You see the terms “six figure freelance writer” or “make lots of money part-time working time” and believe it’s the gospel. That somehow, those people out there can make it within months, and so can you. I hate to break it to you, but it’s a lie. The truth is — there is no such thing as an overnight success. I don’t want to crush your dreams. But before you go and buy the latest course promising you the moon and back, you need to understand what it really it takes to make it. I’m not saying you’re just like the boy who told lies to amuse himself. Far from it. What I am saying is that when delivering work to clients, you need to follow through on what you say. It also means that when you tell yourself something, you follow through on it. As in, if you tell yourself you’ll pitch 50 prospects in a week, you do it. As in, if you tell your client you can complete work within a week, you turn in the assignment within a week. Pretty simple right? But if you don’t follow through, your reputation will be at stake. Forward momentum will be at stake. It’s fine to let some things call through the cracks, but too many of those, and you’ll start to see the negative consequences. Like, if you’re constantly late with turning in assignments, editors won’t believe you when you tell them about what you can do for them. Like, if you find excuses upon excuses why you can’t find good clients, you’ll start to believe you’ll never make it. Lesson learned: you need to be very meticulous about what you’re doing. Constantly and consistently. You’re going to make mistakes. Some things you think will work don’t, even if it’s worked for others. The point is, you need to experiment but be very intentional with it. There has to be some focus. Think about it: if you pitched to any and every company, will that be better than if you took to time to assess what you’ve got expertise on, then pitching prospects? Six figure earners also look at what they’ve done, how profitable it is and change course if need be. Take me for example. 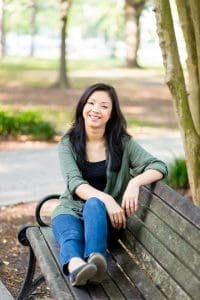 I wanted to write for textbook companies but the hiring schedule stressed me out. It wasn’t effective for me to pitch prospects only to find out that I wouldn’t get work more than six months later. Instead, I took a look at my skills and pivoted to a new niche. I ran a 30-day experiment to see how I much work I could land. A few thousands dollars later, I never looked back. So I urge you to think about one thing you can focus on to earn more money and try a 30-day experiment. If it blows up in your face, try something else. Rinse and repeat. High earners are risk averse because freelance writing can be fickle. Clients will ghost on you. Your editor will switch jobs and the new one is…well….not fun to work with. The point is, you have to make decisions based on your need to look for something else to come around the corner. Don’t get comfortable with the influx of work and stop looking for new clients. Or never follow up because you’re giving a prospect the benefit of the doubt. It takes persistence or what I like to call sheer stubbornness to make it. That means treating each day like it’s going to be the last day you’ll work for a client. In that case, what will you do? The truth is, the steps are simple to earning six figures is simple but the execution is hard. You’ll hit the snooze button a few times and miss those precious hours of writing time. Or you set up a time to talk to a potential client and run into tech issues as you’re trying to log into Skype. Earning a sustainable income takes time. You’ll stumble along the way. If you get hung up on “failures” and what you “could” or “should” have done, then you’ll feel behind. Brush it off, give yourself time to feel what it is you need to feel and keep looking forward. Yes, it’s easier than it sounds. Yes, you’re scared about the work. Yes, you’ll feel like you have no clue what you’re doing. You know what? 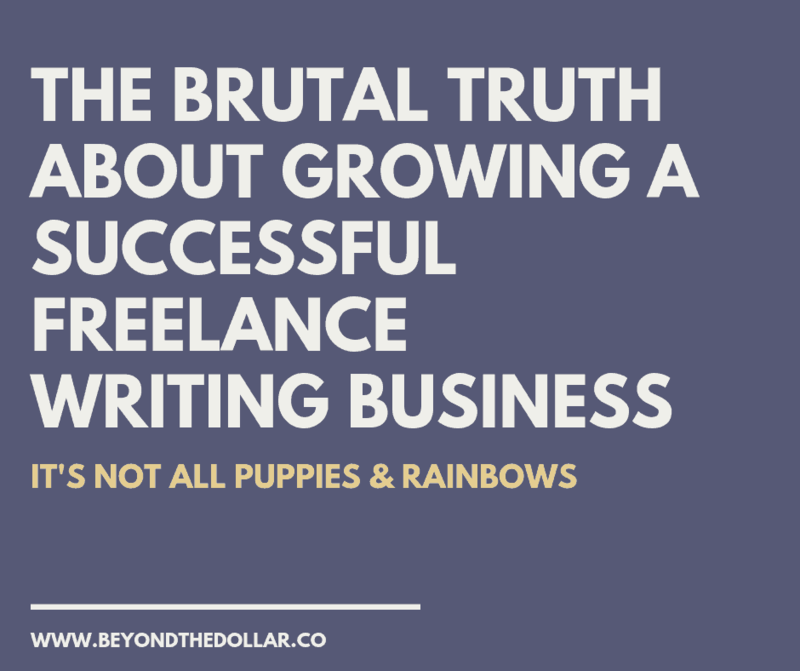 Neither did six figure freelance earners when they first started, myself included. They’ve gotten tons of rejections, made tons of mistakes and felt like giving up most days. The difference is that they’re stubborn, just like you. They know the difference between earning a high income and pennies is getting started. You know you have the drive. You have the burning desire to make it. Because in a short amount of time, you could easily have pitched a few hundred prospects. 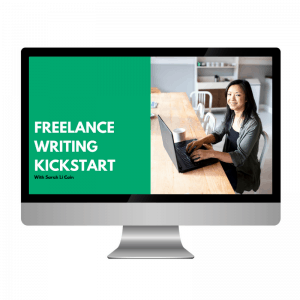 People that could give you your first freelance writing gig, earn you more experience so you can earn a higher rate, again and again. When will your six figure journey begin? psst…if you need a loving push in the right direction, grab the freelance writer kit where I show you the exact steps I took to create my freelance writing business, including free tools to make your life easier. Click here or on the image below to get instant access.